Support Vaibhav in his passion towards Sports! 18 year old Vaibhav comes from what many would consider a typical Indian background. He is a first year Civil Engineering student at Dayanand Sagar College in Bangalore. 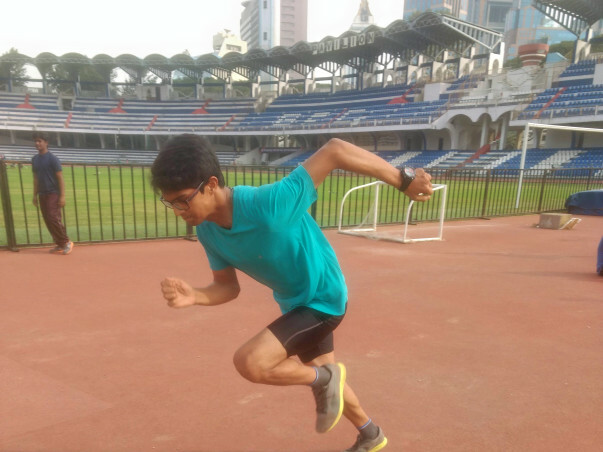 Rather than take the ‘accepted’ career path, Vaibhav is set on making it in sports. He has been formally training since April of this year- but has already won 2 Bronze medals at the District and State level. However, he has been competing since 10th standard- and knows that his heart lies on the track field. His main track events are the 100m and 200m. Vaibhav comes from a family that indulges his passion towards sports- but does not encourage it as a serious profession. His father works in the automotive sector- and his mother is a housewife. He has two older sisters. Vaibhav says his friends are more supportive and encouraging about his passion. “Vaibhav is an extremely quick learner” says his Coach Bindu. She is sure that with the adequate training and hard work, he will make it to the top in his chosen field. However, Vaibhav now needs your support. Sports are expensive to pursue. His nutritional requirements cost 4000 rupees a month, and spike shoes (a must for a sprinter) have to be replaced once in 3 months. Currently Vaibhav is looking towards heading for Nationals next year. However, his long term goals are to aim for the Asian Commonwealth Games in 2019. He is confident that he can get there- with a bit of help.